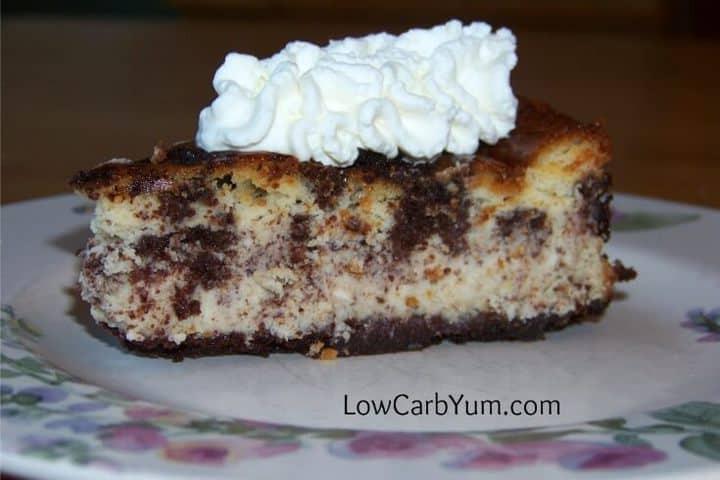 This yummy low carb cookies and cream cheesecake is made with gluten free biscotti cookies. Tastes great topped with whipped cream. My daughter has been chowing down on cookies and cream ice cream lately. It’s a flavor I used to love eat. Since the cream filled chocolate sandwich cookies aren’t available in a low carb version, I had to come up with an idea to get a similar flavor. 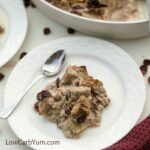 After thinking about it for a while, I came up with the idea for a low carb cookies and cream cheesecake recipe. However, I needed something to replace the chocolate cookie part. 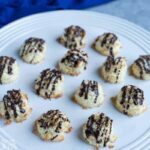 The low carb chocolate biscotti cookies I made recently were perfect! I was originally going to make a pie. 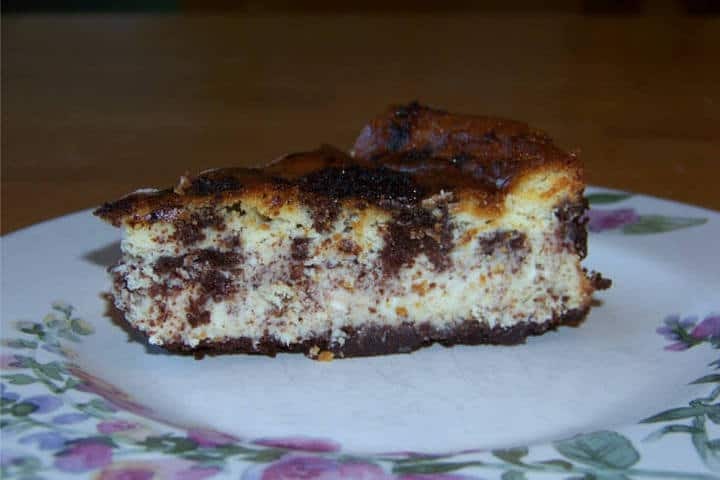 But, I thought I’d try a baked cheesecake instead. I used my food processor to make the cookie crumbs. 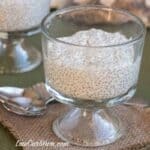 If you don’t have a food processor, no worries! You can also crush in a big plastic bag using something heavy to break them up. 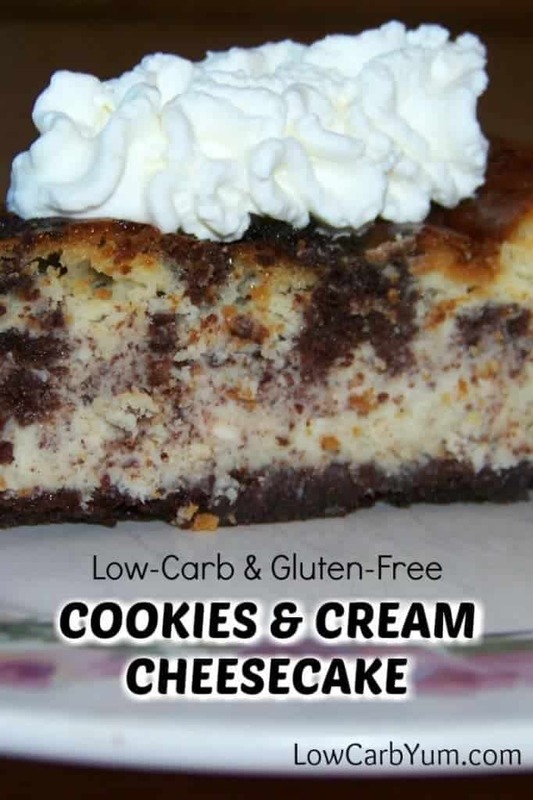 The cookies crumbs are needed for both the gluten free crust and filling in this low carb cookies and cream cheesecake recipe. 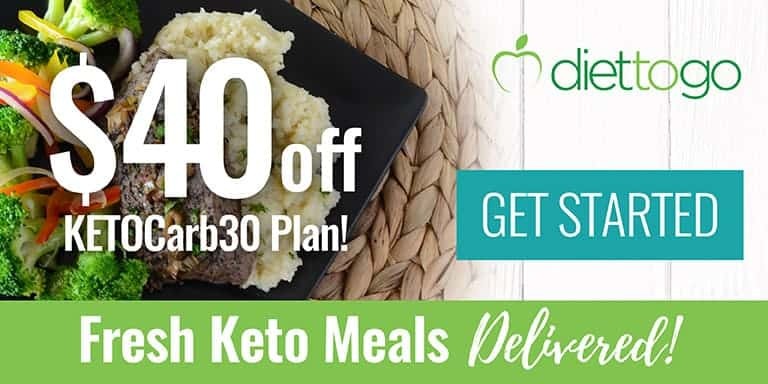 I suppose you could use another low carb chocolate cookie if you prefer. 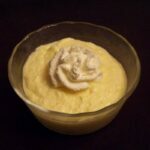 I made a basic vanilla flavored cheesecake batter with lots of egg, heavy cream and one 8 ounce block of cream cheese. The flavor of the cheesecake flavor is supposed to mimic a vanilla cream like the sandwich cookies. I used lots of cream and not so much cream cheese to get that vanilla cream flavor. 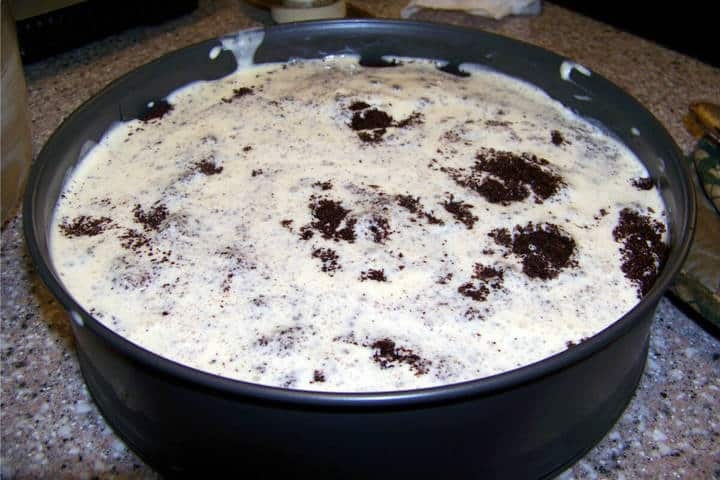 Half of the cookie crumbs are sprinkled in the middle of the batter to get the cookies and cream filling. 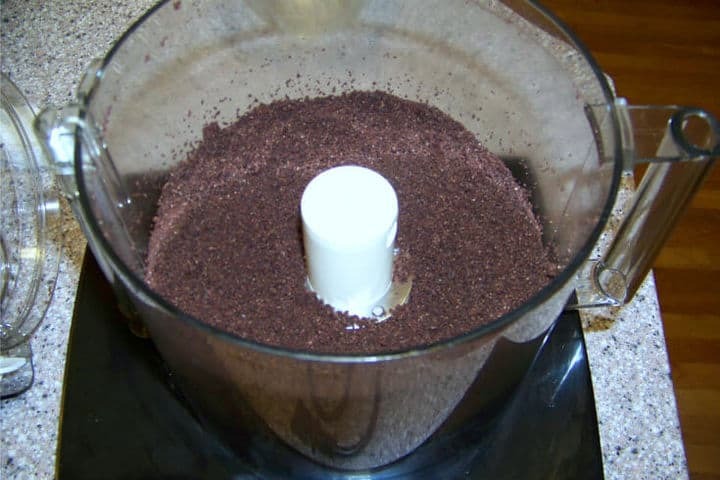 When pouring over the second half of the batter, the chocolate crumbs will get mixed into the batter because they are so light. I’m not sure if it is possible to concentrate the crumbs in a center layer. I suppose if the second layer of batter is spooned over the crumbs, they wouldn’t start floating as much as when the batter is poured on top. 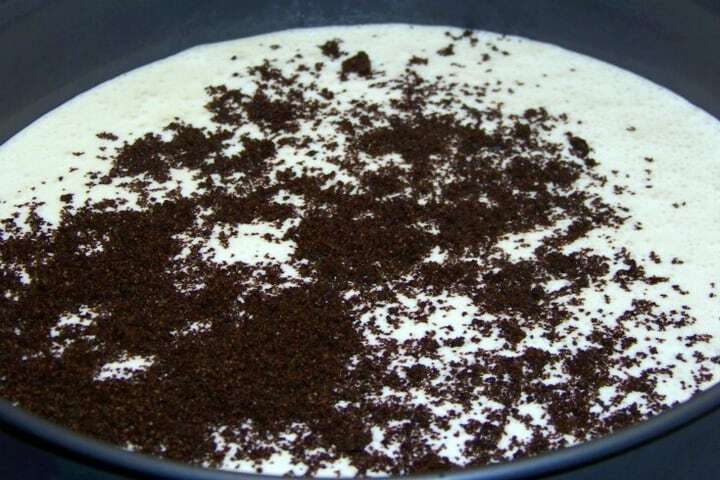 However, I thought the crumbs were nicely distributed within the cookies and cream cheesecake after baking. 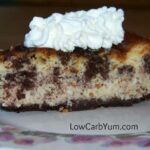 This is a really nice looking low carb keto cheesecake when sliced. And, it isn’t very sweet like cookies and cream usually is. If I were going to bring this to a party to share with non low carbers, I may sweetened it up a little more. Splenda could be used instead of the stevia and erythritol. However, I really enjoyed it just as it is. 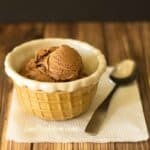 One day, I may get around to making a low carb cookies and cream pie or ice cream. It’s really not that difficult as long as you have good chocolate cookies to use in the recipe. 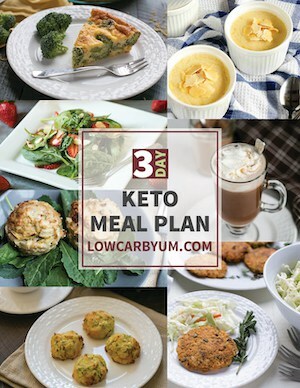 Although this yummy low carb keto cheesecake was great as is, I found it even better topped with whipped cream. 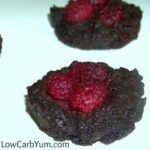 Do you have a good low carb chocolate wafer cookie recipe? 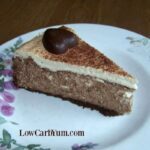 This yummy low carb cheesecake is made with homemade gluten free biscotti cookies. Tastes great topped with fresh whipped cream. Preheat oven to 350°F (175°C). Grease a 9-inch spring form pan.. Using a food processor, crush the biscotti cookies into crumbs. If you don’t have a food processor, they can be crushed in a plastic bag. Reserve half of the crumbs. Mix the other half of the crumbs with melted butter and press into the bottom of the prepared spring form pan. 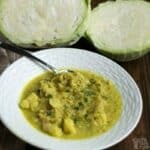 Refrigerate pan while preparing the filling. 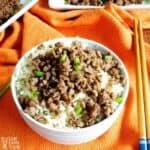 In a large mixing bowl using an electric mixer, blend the cream cheese with the sweetener and whipping cream; mix until no lumps remain in the batter. Add eggs, coconut flour, and vanilla and beat until smooth. Pour half of the filling over the prepared crust and sprinkle the remaining cookie crumbs over the top. Pour remaining filling over the cookie crumbs. Bake until the cheesecake is golden on top and the center is almost solid, about 1 hour. Remove cheesecake from the oven and allow to cool on a wire rack. 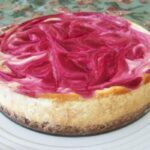 Run a knife around the outside edge of the cheesecake to loosen cake from the pan. Remove the spring form and place cake on a serving platter. Serve with sugar free whipped cream, if desired.